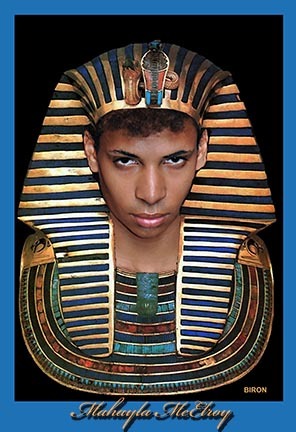 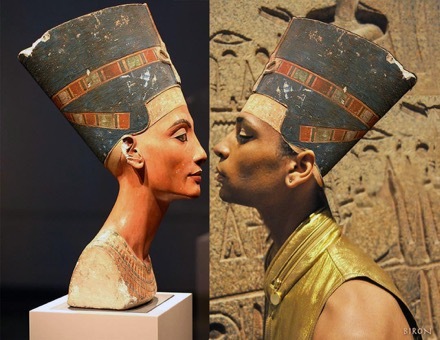 MICHAEL -AFRO-EGYPTIAN-AM MODEL FACING BUST OF QUEEN NEFERTITI (2012). 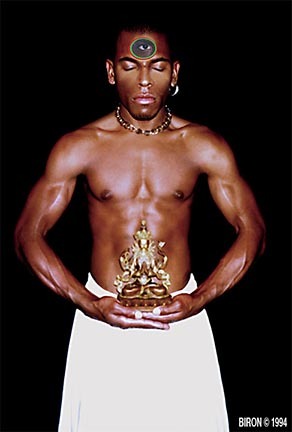 MICHAEL MOVED TO NYC IN LATE 2012 AND TRANSGENDERED AS MAHAYLA. 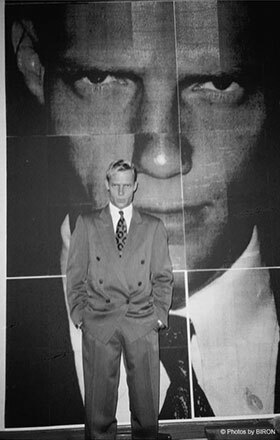 CALEB WITH HIS BELLY CHAIN AND WHITE LONG JOHHS (1994) WAS THE MODEL OF MY FIRST BOOK: MIKE – TADZIO OF THE 90s iNSPIRED BY THOMAS MANN'S NOVELLA DEATH IN VENICE.